As a teacher, you know that you’re pretty much on your feet all day long. 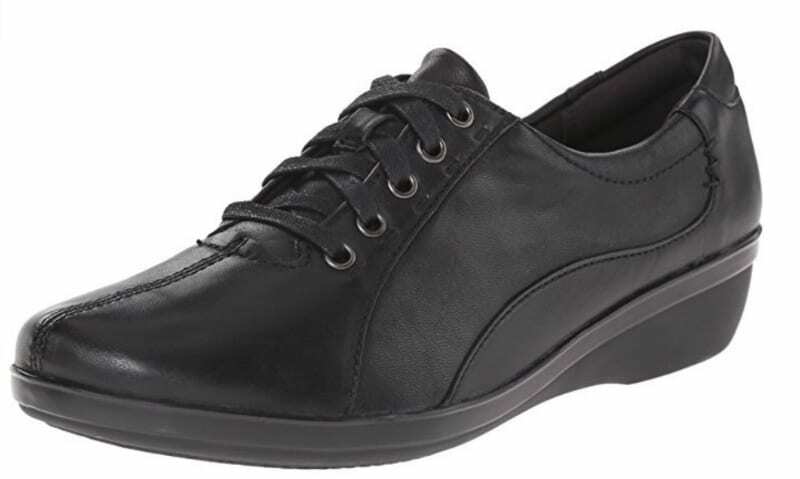 You also know how incredibly difficult it can be to find good teacher shoes. 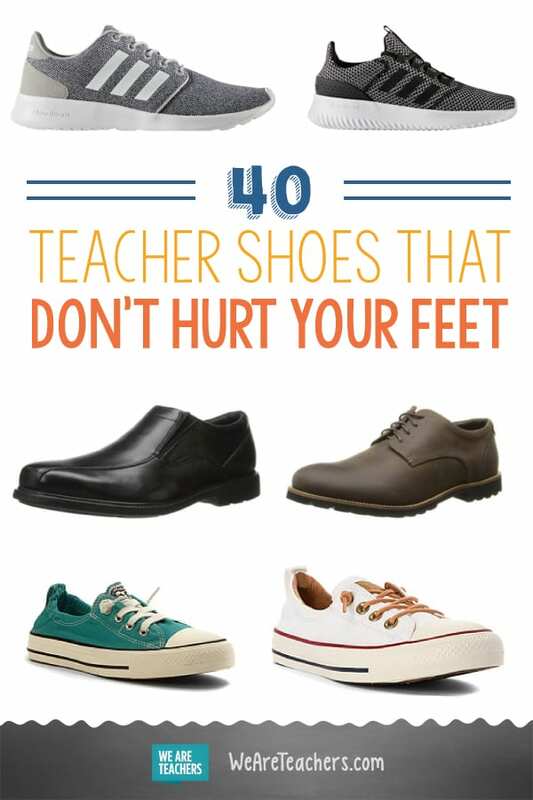 We asked some of our favorite teachers for their recommendations, and they definitely came through with specific teacher shoe suggestions and tips. While every person and every foot is different, here are those suggestions along with our recommendations of shoes. Good luck in your search for the perfect teacher shoes. If you have more suggestions, share them with us, and we’ll add them to the list. Teachers love their Danskos! “I’ve worn the Dansko brand for many years, and they’re a great option.” —Michele H.
Could there be any teacher shoes cuter than these? They’re comfy on their own but also have room for your own insoles if you need a little more support. 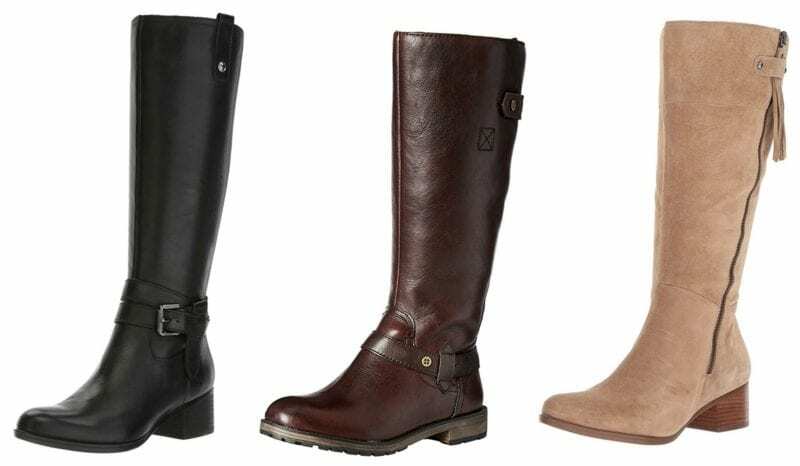 You’re probably familiar with the ubiquitous UGG boots, but they make plenty of other comfy shoes, too. 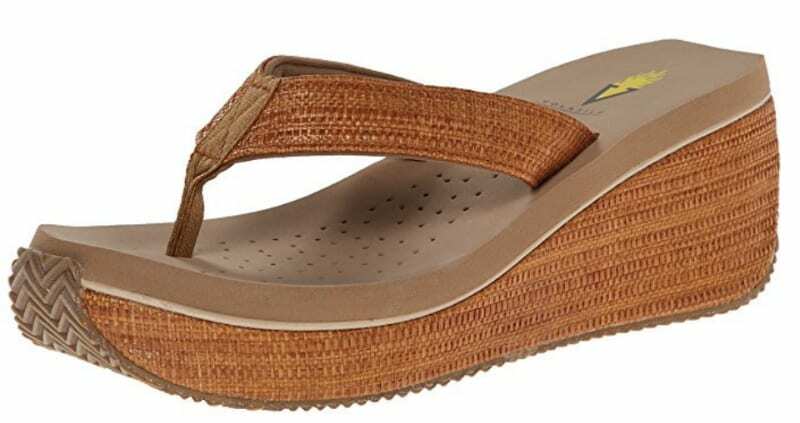 “They actually sell really cute other styles,” says Krit S.
“I’m obsessed with Sanuk’s shoes with footbeds made from yoga mats. Foot heaven! I even got my husband (he’s a teacher, too) into the men’s Sanuk line.” —Tonia K.
“I don’t know what I will do if Clarks stops making their loafer-pump style. 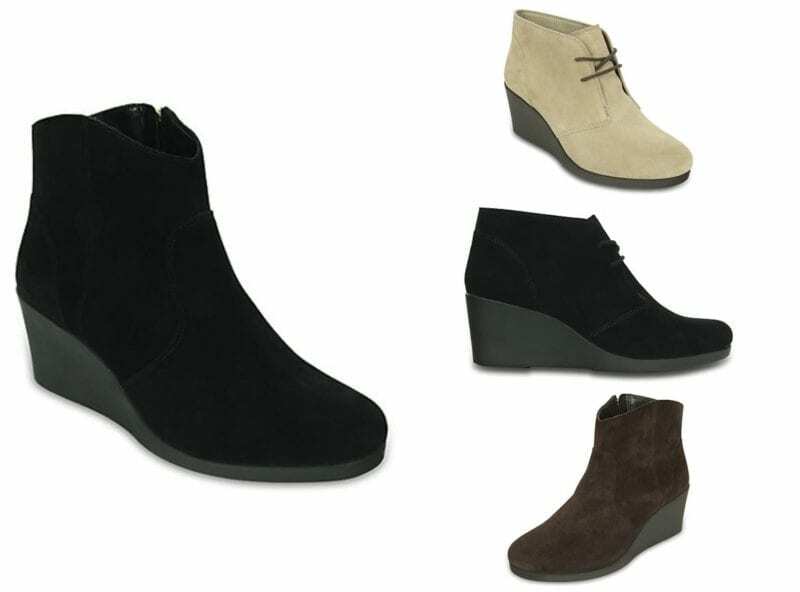 These look as good with jeans as they do with skirts and can even pass as a heel on days I need to dress up. 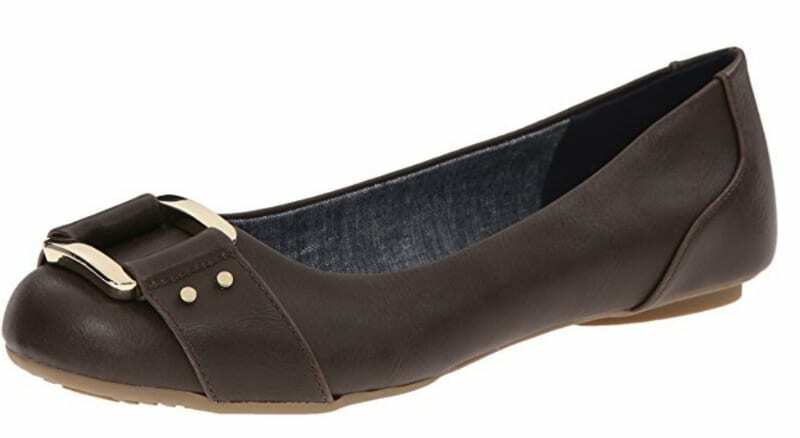 They are so comfortable, too.” —Sharon S.
“I love all the different colors you can get in the flats from Oka B.” —Danielle C.
“Anhu is a good brand with great support and a comfy footbed.” —Shelley D.
“BZee shoes by Naturalizer are absolutely amazing!!! Not only are they comfy beyond description, they’re also machine washable!” —Kathy H.
“These slip-on loafers with a driving shoe–inspired sole are less than $20, and they’re the most comfy shoes I own. I have them in seven colors!” —Margot U. “All my shoes for school are Rockport. They never let me down.” —John M.
“I’m always wearing these oxfords, and they [are] affordable.” —Roxanne M.
“I have Crocs flats in every color and print.” —Amy C.
“I have arthritis in my hips, sciatica, and plantar fasciitis, and I live in Dr. Scholl’s.” —Amy Y.
Shannon H. likes this line of slip-resistant shoes made for the food industry, which has some downright cute styles available. “I wear Merrell clogs all winter.” —Brenda W.
“I like the Timberland anti-fatigue clog.” —Denise A. This is another brand that many teachers love, and one you can feel good about. These adorable and comfortable shoes are made from recycled water bottles … a lesson in sustainability. 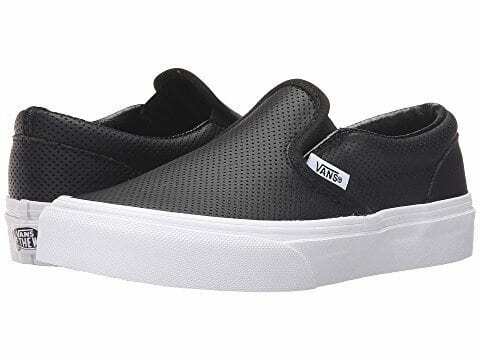 “My go-to is the Vans Slip-on in leather. 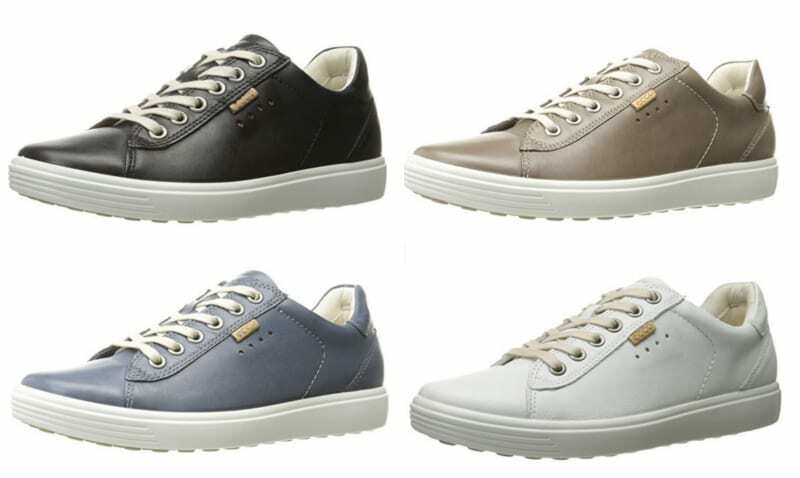 It’s a weather-resistant sneaker with great arch support that looks stylish and polished but feels like the weekend.” —Chris C.
“My mom swears by shoes called Alegria. 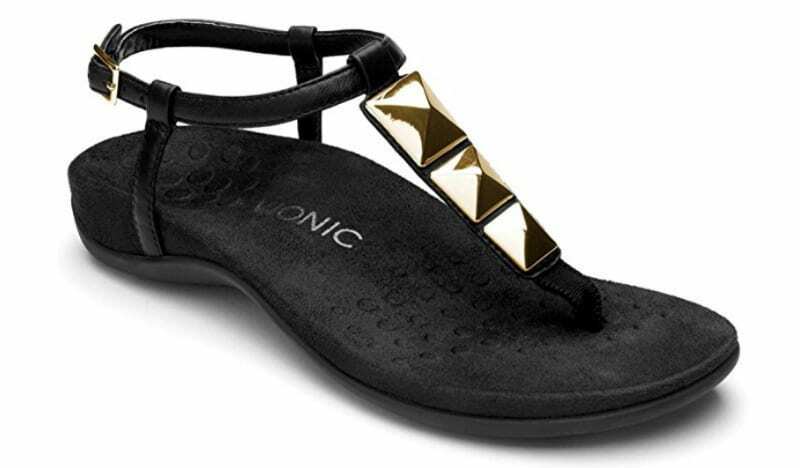 They have a slightly rounded bottom to take pressure off your heels. She works on her feet all day and loves them.” —Rachel P.
“Last year I bought some clogs from Klogs. They are amazingly comfortable.” —Sandy H.
“I’ve tried dozens of shoes, and Converse were finally the fix for me. Now my feet don’t hurt.” —April S.
“Adidas has a comfort line that I love.” —Aimee B. 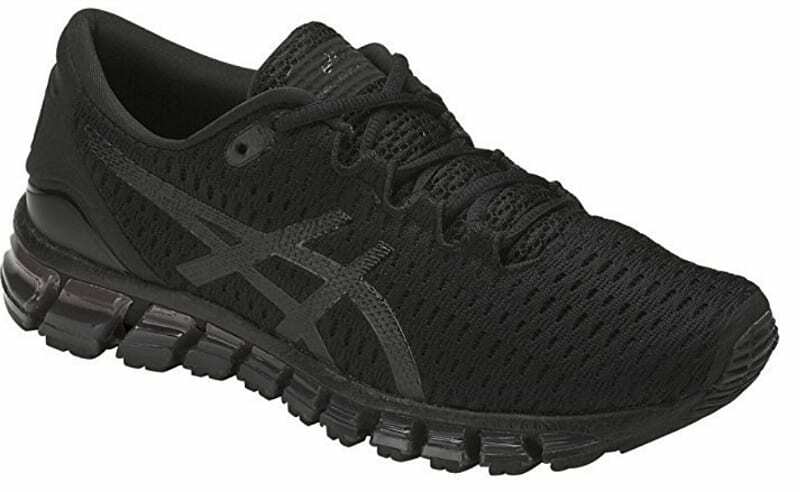 “I get a black pair of Asics so I can still wear them with dress pants.” —Nicole B. “Ecco is a good brand. They’re very expensive, but they never wear out and look good.” —Renee B. 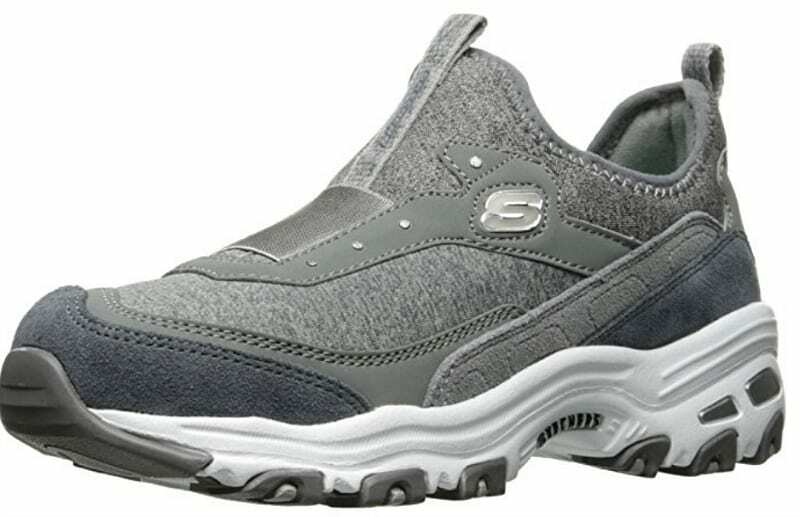 “The Taos Freedom sneaker is so comfortable and has a soft support footbed. 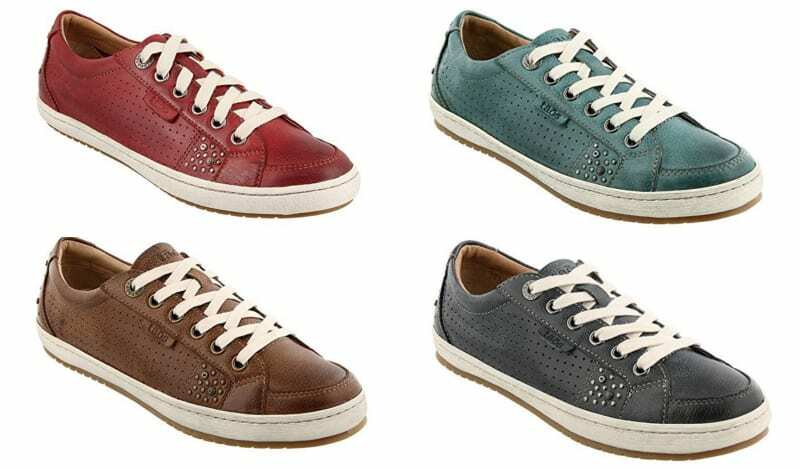 They come in lots of different colors.” —Cheryl T.
“I love the lace-up sneaker from Clarks so much. These keep me going all day.” —Krista H.
“I like any of the Sketchers D’Lites with yoga memory foam.” —Mary L.
“I have wide feet and plantar fasciitis, and I love Vionic.” —Melana K.
“Sketchers Go Walks are a good option if you are looking for something less expensive.” —Brenda W.
“In the summer, I live for Volatile shoes. They are cute and comfortable.” —Regina J. 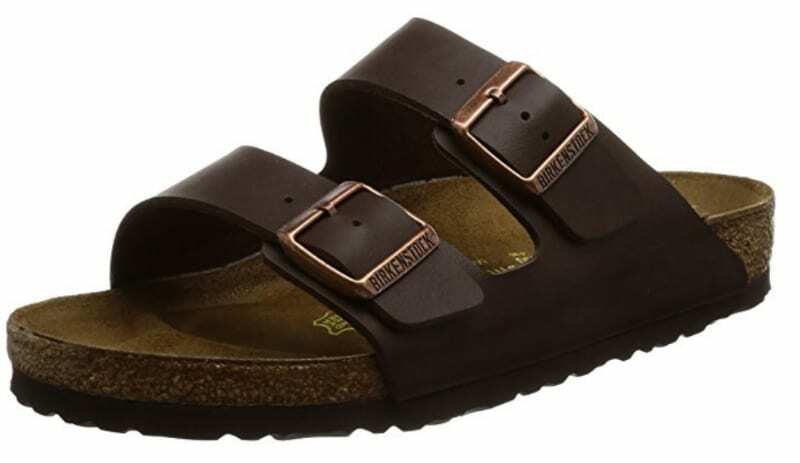 “If weather is permitting, I go with Birkenstocks.” —Karin B. “I just discovered Vionic. 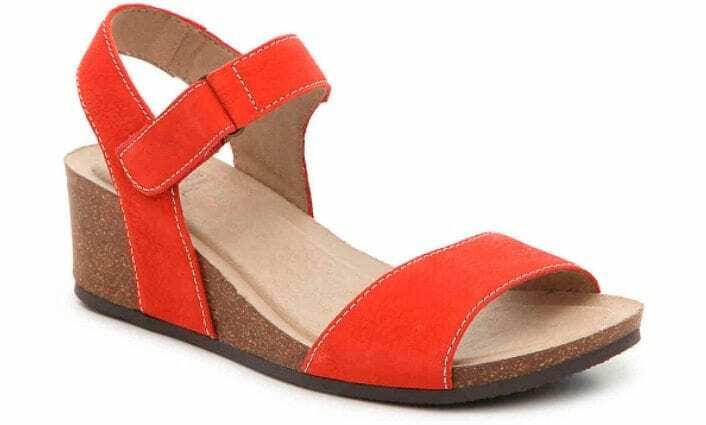 They are great sandals.” —Michele H.
“I love the shoes by White Mountain. I have bad ankles, and these wedges are more comfortable than any of my flats.” —Jessica L.
“I can stand in these boots all day long comfortably, and they are so stylish that no one suspects these boots are Crocs!” —Sarah S.
“I am all about TOMS boots to wear for their comfort, but I also love the buy-one-give-one social-good aspect.” —Katie M.
“Love the look and cozy, warm feeling of UGGs, but I can’t justify the price. 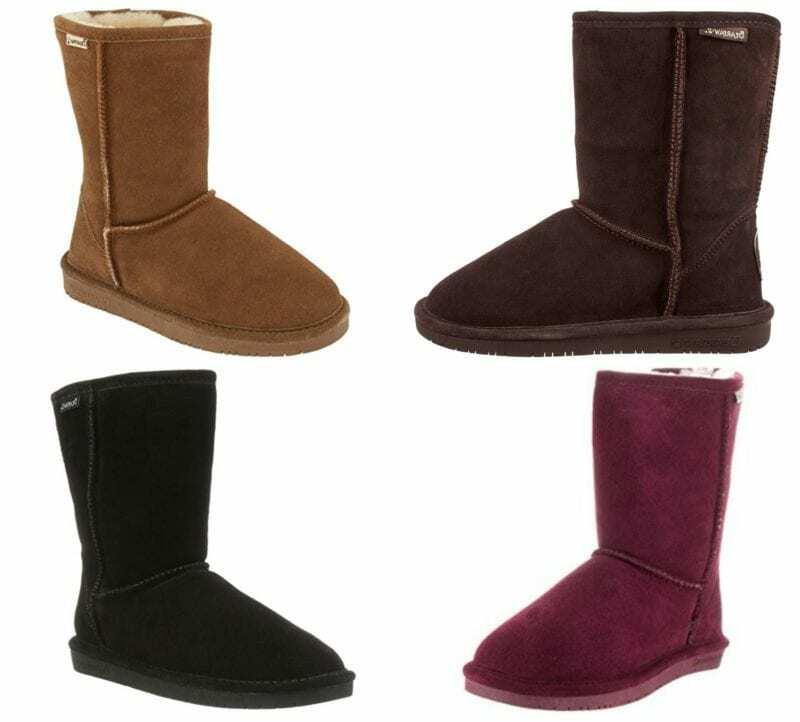 That’s why I get Bearpaw shearling boots instead. They are like a quarter of the price for the same look and winter-warm feel!” —Catherine G.
“Tall boots over pants is my favorite look for school, and Naturalizer’s boots keep my feet happy all day.” —Megan V.
We’d love to hear—what are your favorite, most comfortable shoes? Come and share in our WeAreTeachers HELPLINE group on Facebook. 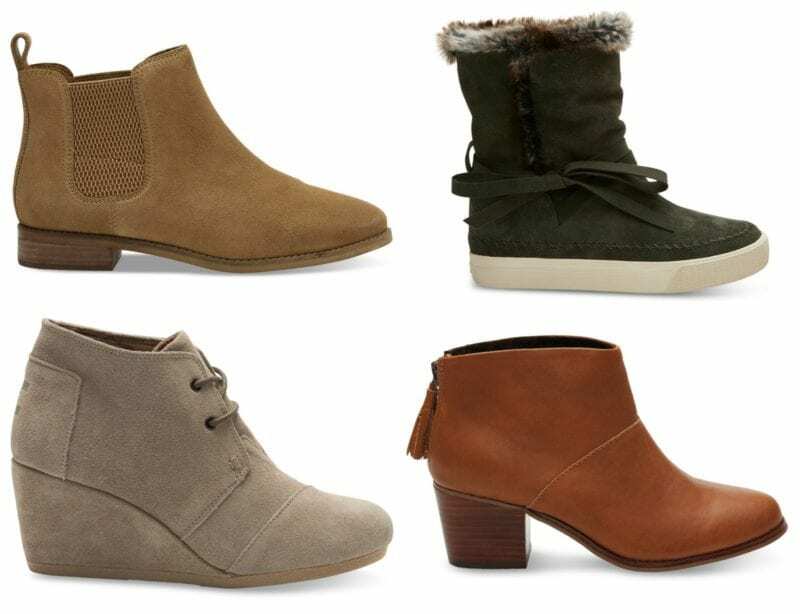 Be sure to check out some of our favorite fall shoes.